Chao Pinhole® Surgical Technique (PST)? 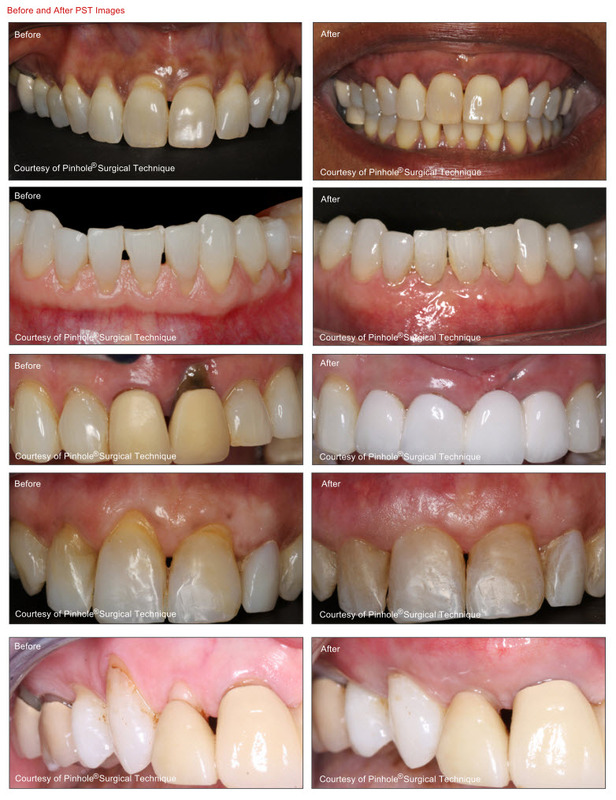 The Chao Pinhole® Surgical Technique is a minimally invasive option for treating gum recession. Unlike traditional grafting techniques, PST is incision and suture free. All of the tools and techniques used to perform the Chao Pinhole® Surgical Technique were created by Dr. John Chao, and who personally trained Dr. DalBon. Gum recession refers to the loss of gum tissue along the gumline. This can occur as a result periodontal disease (gingivitis, periodontitis, advanced periodontitis), the natural aging process, or abrasive habits when it comes to brushing the teeth. During the Chao Pinhole® Surgical Technique, a needle is used to make a small hole in the patient’s existing gum tissue. Through this pinhole, special instruments are used to gently loosen the gum tissue. These tools help expand and slide the gumline to cover the exposed root structure. There are no grafts, no cutting, no sutures, and no incisions needed with the Chao Pinhole® Surgical Technique. It simply involves the adjustment of the existing tissue.